The gaming space is filled with a dozen PCs and consoles to consider. And finding one that suits you and your budget can be a grueling task. Especially because of the myriad of choices available. So we appreciate it when our Editors randomly find PCs that offer great value per dollar. The HP Pavilion Power 580-023w makes it to the top of this list, fighting for the throne with budget giants like the CyberPowerPC Gamer Xtreme GXIVR8020A4 Desktop which we recently reviewed. The HP Pavilion Power 580-023w is a feature packed system with notable components such as Nvidia GTX 1060 with 3GB DDR5 memory, 8GB of RAM, and a fast Core i5 processor. It should be a good choice for beginners in the gaming world thanks to decent benchmark scores. Read the HP Pavilion Power 580-023w Review. Decent amount of bloatware pre-installed. The HP Pavilion Power 580-023w Desktop brags of a great deal besides from decent price. It’s a feature packed system that will get you through gaming on AAA titles. You get your money’s worth in value thanks to a faster processor and high-end Nvidia 1060 graphics card. Still, you will have to uninstall pre-installed bloatware, upgrade the memory to 16GB and add a solid state drive to make the system snappier. Generally, if you can find it for under $700 it is a great system for users not willing to build their own from scratch. Even though the little case limits expandability, we recommend it for entry-level gamers looking for great performance on the budget. My opinion might be a bit skewed having seen other PCs such as the CyberPowerPC Gamer Xtreme GXIVR8020A4 Desktop. But don’t get me wrong, HP did a tremendous job with the HP Pavilion Power design. Personally, for me, I thought it was a great balance of aesthetics and power. But for most, when it comes to design, the HP Pavilion Power 580-023w Desktop takes the crown for an altogether perfectly crafted and lit case with Plexi-glass side panels (they are see-through windows showing the heart of that awesome PC). On the bright side though, our reviewed unit, the HP Pavilion Power 580-023w stood out for having a DVD-writer at its front porch. Its black case with textured finish makes it a tad more modest than most PCs. In an office desk set, it would easily blend with the other PCs with little to hint of being gamer. That’s probably an aspect some gamers might fall in love with. If lack of gamer aesthetics is a glaring tradeoff, the HP Pavilion Power 580-023w might just not get you those goosebumps. When it comes to upgrading, you have a couple of options; you can upgrade a few things here and there including the storage (adding a Solid State Drive SSD and boosting the RAM). However, if you’re planning on tweaking it into a fully-fledged gaming rig, you might hit a few curve balls. Users not looking to play games can find other options better suited for their use, for instance, the Alienware Aurora R7, a beastly gaming rig. At 14.3 x 6.5 x 14.88 inches (HWD) and weighing 15.7 pounds, the HP Pavilion Power 580-023w portrays a slightly smaller footprint compared to the CyberPowerPC Gamer Xtreme GXIVR8020A4 Desktop (18.46 x 7.87 x 17.89 inches, 28 pounds). Pound-for-pound, the HP Pavilion Power 580-023w weighs a few pounds less thanCyberPowerPC Gamer Xtreme GXIVR8020A4 Desktop or its predecessor the CyberPowerPC Gamer Xtreme GXIVR8060A5 Desktop (28.1 pounds). Thanks to the HDMI port, you can connect to multiple monitors for multitasking ease. You get other connectivity options such as a Wireless LAN 802.11a/b/g/n/ac (1×1) and Bluetooth 4.2. Never minding its simple aesthetics, the HP Pavilion Power 580-023w strides ahead by showing its versatility in performance. It does so with a carefully chosen package of components all configured to putting peddle to the metal. It brags of an Intel Core i5-7400 processor with 3.0GHz and capacity to overclock to 3.5GHz on turbo. The Intel Core i5-7400 processor (code-named Kaby Lake) is a Quad-core processor made for entry-level to mid-level gaming PCs with average performance. On our CPU benchmark test, this Quadcore processor managed an average CPU score of 7392 which is decent for its category. If you’re looking for an option with a faster processor, the HP Ryzen Premium 2018 HP Pavilion Power 580 series, offers a faster CPU, but costs slightly higher. The Newest Dell Inspiron 5000 Flagship High-Performance Gaming Desktop is another PC sailing on the same boat but is more expensive than our reviewed unit. One noticeable caveat to the processor is that it may not play well with other graphics cards when the need to upgrade comes. When the time comes when you need to tweak the system with a better GPU, the processor might become the one reason for bottlenecked performance. That’s not to say every GPU won’t pull through, it will still work, but with slight disadvantage depending on the game and GPU you go for. At the end of the day, while it’s up to par with this system, it might not do justice when matched with other higher end parts. The system allows for a few tweaks when it comes to the processor. You can opt for either of these three processors to boost your PC performance. The processor works together with an 8GB DDR4 memory. 8GB RAM is more than capable of handling many tasks including office day-to-day duties, playing music, movies, and handling a couple of dozen tabs open while browsing online. Also, it should be fine considering the graphics card has an extra 3GB GDDR5 memory. If you’re familiar with graphics card memory performance, you should know the GPU memory handles most graphics-intensive tasks like multimedia processing and gaming. For storage hogs, the 1TB Hard Drive storage space might not get you exactly exuberant. But for the average Joe with little storage needs, the HDD space should go a long way. You can have the 1TB carefully partitioned to fit multimedia, movies, and games. Alternatively, if you need faster performance for software and boot times, consider adding a solid state drive (SSD). SSD should act as good buffer for storage but most importantly help in cutting the load times to less than 20 seconds. Also, if you install your games and software on the SSD, it should cut the load time by more than half. The Nvidia GeForce GTX 1060 graphics card works amazing for this budget PC. While the 3GB DDR5 memory slightly bottlenecks the performance of the card, it nonetheless is a great choice. The Pavilion’s arch nemesis CyberPowerPC Gamer Xtreme GXIVR8020A4 features an AMD Radeon RX 580 4GB Video Card. Admittedly, the AMD Radeon RX 580 Card offers about 5% better performance compared to the GTX 1060. For the record, a different configuration, the HP Pavilion Power 580-130, offers slightly better FPS gaming performance. It comes with an AMD Radeon RX 580 4GB GDDR5 card which makes it achieve slightly better performance in gaming (FPS). The system runs on Windows 10 Home 64-Bit operating system and is powered by a 300W power supply unit (300 W internal uATX E-STAR 6.0 Bronze power supply). Building a good gaming PC requires all the knowledge you can get on PCs, and one of those prime pieces of information is on motherboards. The motherboard is the nervous system that connects the rest of the CPU components. So as it stands, the HP Pavilion Power 580-023w motherboard is the heart of the whole PC. It is an uATX HP Odense2-K motherboard that measures approximately 9.4 by 9.4 inches with an ample number of expansion slots, RAM bays, and data connectors. To be precise, the motherboard works with an Intel H170 chipset and boasts of two RAM bays of DDR4-2400 RAM (each can support 8GB) with a total of 16GB RAM. Also, the HP Pavilion Power 580-023w motherboard supports processor with TDP of up to 91W and one PCI-e 16x slot. That means you can only have a single GPU connected onboard. So, HP Pavilion Power 580-023w upgrade or NOT? For the most part, the HP Pavilion Power 580-023w is fine considering the various components it comes with. The processor works perfectly with the current system and is nowhere close to sluggish, if entry-level gaming is anything to go by. The 8GB RAM is sufficient for most tasks and 1TB hard drive storage plenty for data hogs. Further still, the GTX 1060 graphics card should muscle through most AAA games on Full HD without breaking a sweat. In my opinion, the one major change moderate gamers and users require (users with run-to-the-mill tasks such as office related jobs), should be the RAM and storage. That would include bumping the memory to 16GB and storage to 2TB or just an additional Solid state drive (SSD). Otherwise, all other upgrades beyond that would be considered a territory only desired by speed hogs. So far, these components should be able to last the HP 580-023w an average lifespan of roughly 2 to 5 years. But if you’re looking to get it working in tip-top shape (especially speed), then a few upgrades are worth considering. However big your computer storage is, at one point or another the storage gets depleted and just isn’t enough anymore. For the HP 580-023w, the 1TH HDD is plenty and if not, you can curb the inconvenience by adding a solid state drive. An SSD should bring a sizable amount of space to your PC and boost load times. With that, you can boot the PC in less than 20 seconds. Fast storage is one of the short-term/ immediate measures you can take up. The HP 580-023w brags of 8GB DDR4 memory (2 4GB DDR4 sticks). Bumping this to 16GB is one course that should see performance improve drastically. Again, this is one of the immediate upgrade plans you can start working on if speed is what you desire. Since there are only 2 sticks and 2 slots, upgrading to double 8GB DDR4 sticks is the option here. The motherboard supports a max of 16GB RAM so it should support these easily. Until this point, the upgrades are pretty average and still don’t cost an arm. So I consider them more short term. That said, this next part is what I consider long-term and definitely not for the faint-hearted. In my experience, such upgrades are not cheap and require a cost comparison to find the best value. Yes, that’s because they cost a dime! My rule of thumb is that the upgrades should cost no more than half the value of a new system. Otherwise, it wouldn’t make sense upgrading. That said, if you require that extra performance for 3D applications and gaming, this is a necessary evil. Therefore, you would need a powerful graphics card, a modern processor to back it up and power supply (PSU) and provide the extra power. Also, all the extra components would require some more leg-room. So it might be wise to upgrade the case to something that fits. After all these changes, your PC should now make the change to a fully-fledged gaming rig. For a better gaming experience, you’ll also probably need to introduce better-suited keyboard and mouse. Gaming requires speed and accuracy. If these are aspects you consider high up there for you, a gamer-centric keyboard and mouse might be helpful. It should make fragging your enemies while gaming easier. A brand new PC should be pristine right out of the box. That includes features, specifications, and system. For that to happen, you need everything included on the PC to be useful and not gummed up. These days, you can trust manufacturing companies to ruin a great OEM computer with software you actually don’t need. We call it shovelware, bloatware of even crapware. And some PCs have shovels-full of crappy software pre-installed for god-knows-what. These can be a pain especially because of the hours they’ll needlessly keep you up while uninstalling. And if you don’t, they could end up slowing down your PC resulting in slow unwanted performance. I would have loved to say the HP Pavilion Power 580-023w is subject to this. But no… while it comes to software there are also a few other unwanted ones. We noted a few useful ones including Windows 10 Home (64-bit), Netfilx, Dropbox, McAfee LiveSafe (30-day subscription), HP Recovery Manager and Microsoft Edge browser. Majority of the remaining are mostly within the bloatware category and may be uninstalled (HP Jumpstart, HP Jumpstart Apps, HP ePrint, HP Orbit). Every skilled gamer/builder knows it is more cost effective to assemble your own gaming rig. First off, if you know what you’re doing you can get cheaper components; something every builder wants right-off-the-bat. But that’s not a skill every user has perfected. Enter the HP Pavilion Power 580-023w, a budget PC making a good case for itself on this front. So far, it holds the title for budget pre-built PCs dethroning even the CyberPowerPC Gamer Xtreme GXIVR8020A4 Desktop by a $50 margin. But the CyberPowerPC Gamer Xtreme GXIVR8020A4 Desktop offers 4GB GDDR5 memory on its GPU which converts to slightly better performance for an extra cost. Ultimately, just like the HP Pavilion Power 580-023w Desktop, it is hard to assemble a better PC for this price. And as a result, it receives our Editor’s Choice for the budget-entry gaming desktop. 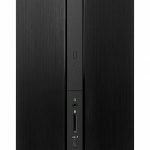 Buy the HP Pavilion Power 580-023w Desktop at Amazon.